Having been a teacher for 10 years I felt I could generally handle myself in most situations with kids. When I became a parent it felt like a whole different game. You can’t tell a newborn that they won’t be able to go to recess if they don’t do what you want, you don’t get to escape to the staffroom for lunch or a cup of coffee and you can’t give them back to their parents at 3.30pm. Whilst parenting a toddler is different to teaching, I have realised in these past two years there are some key teaching skills and techniques that also work at home. Below are three quick tips and strategies I used as a teacher that I’ve found have helped me get more parent wins on the board, and manage the minefield that is raising babies and toddlers. As any good prep/kinder/foundation teacher knows, ‘counting down’ can – most of the time – make your class do anything at warp speed. It’s almost like you’ve pressed fast forward on the remote of life. The crazy thing is often nothing significant even needs to happen at ‘zero’, just the countdown can get them moving and into action. This can be easier in the classroom as competition between peers helps with motivation. However, at home there are a few key phrases I have found to get my toddler to move that little bit faster. What?! There’s no way you can do that! What!? You CAN pack toys away? Who knew?! This is usually followed up with excited responses by me about how quickly I am packing up or putting something away. Yes, this gets exhausting and tiresome at times when you just want them to bloody do what you say. Whilst we might want our lovely one, two or three year old to simply do everything that is asked, unfortunately that isn’t going to happen For those days when you are sick of nagging or your little human is in “one of those moods”, using this approach can be a saviour. One of the great joys I had as a teacher was setting up my classroom at the start of every school year. Let’s be honest, early year’s teachers go especially nuts for this. Printing and laminating labels for tubs of materials, making sure each table had enough pencil containers,creating a reading nook with cushions (yes, my name is Ellen and I am a teaching nerd) and generally making sure everything was labelled and accessible was a favourite past-time. Besides fulfilling that guilty teacher pleasure, it really was about setting my kids up to be more independent. If they knew what was there, where it was, how to get it AND how to use it, the number of questions I would be asked by my class went from one million to an easy thousand. As a parent, I do this by allowing our toddler to independently access her toys and clothes. We have categorised tubs in places she can access so she doesn’t have to ask to play with something, but also knows exactly where they live when packing away. Boom. Bloody organised. Try and stop me now kids. Also, whilst our toddler does have a big bookshelf with all her hundreds of books (the problem with having two primary teachers as parents), we also purchased a little bookshelf from Ikea that she can easily access which we keep stocked with all her current favourites. Note: Books will definitely not always look this organised. While these changes have meant that our daughter has more ownership over her belongings, it is also the first steps in her building up her independence and developing responsibility (AND reducing the number of questions about where things are to a low 100). To be a teacher you have to have infinite amounts of patience. Whether it’s explaining a certain skill a thousand different ways or waiting out discussion interruptions, it won’t surprise any parent that patience is also needed just a little in parenting. There are many days where you feel like tearing your hair out with frustration due to the time it takes to simply walk down your street (it is amazing how many different leaves, bugs and poles to swing around there are in just one block). And, just like that, in two hours they arrived at the shops. What I’ve come to realise is how vital patience is when supporting your child to discover and try out a new behaviour or skill. An example of this might be the very regular tantrum 2 year olds seem to have about getting in a pram. With greater mobility comes a greater desire to walk everywhere…just very, very s..l…o…w…l…y. This is fine for when you have the time, but those long walks where you just need them to sit and be pushed….not so great. When this tantrum begins (or for any other number of reasons) the key is just to wait them out. Explain to them that “it is too far to walk, you need to sit in your pram and we’ll just wait here until you do”. Don’t engage, don’t cajole, don’t entertain. Just wait in a calm, unflustered way. Even when you might not be feeling like that. Chances are they will either choose to climb up themselves. If they answer the second question with “Yes”, then redirect them to question one. If they say no, then reply with something along the lines of “Well, we can’t go until you’re in the pram. You can choose if you’d like to climb in yourself, or you can choose for me to help you. I’ll ask again in thirty seconds.” Then wait some more. FYI, do NOT use this approach if you only have 5 minutes and you HAVE to be somewhere. When I say something I mean it. If it reaches a point where they absolutely still refuse and you need to get moving, safely place them in the pram yourself and get moving. Then, know the next time you need to get them into the pram you’ll follow the same process. Explain what you’re doing, then just wait. Eventually your child will realise that you will always win and they will (hopefully) get in the pram nearly every time you ask. Nearly. As my husband and I joke, sometimes the kids may win the battle, but we will win the parenting war. Whilst I’d love to say these three approaches work every time, the truth is nothing works 100% of the time (if it did we would all be doing that thing, right?). Also, don’t be afraid to slightly adapt the language to suit your little one’s needs and abilities. The key is to add these into your parenting toolkit and keep trying them. Don’t give up! Consistency and confidence are key. Back yourself with these the next time you’re stuck during another day in the crazy world of parenting. 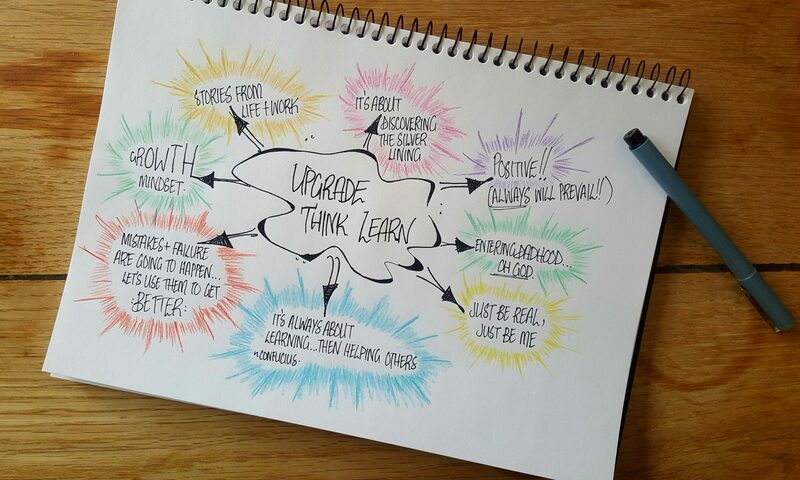 Don’t forget, you can listen to the Upgrade Think Learn podcast on Apple Podcasts and Spotify to get some incredible tips from amazing teachers! I take the kids for a 40 minute free-range walk every morning, in all weather. And then have no pram problems for the rest of the day. I suspect the huge walk ticks their need for a walking adventure everyday. And I minimise trips that seemingly tease them by requiring them to just sit and watch fun things that they cannot explore – but would be good for their development – for the sake of my own sense of efficiency. It’s kind of me to acknowledge those things to inform my approach. Feels better than setting the kids up for expressing their frustration through tantrums. And me resorting to mind games ‘to get my way’ to obedience. A kids primary role in life is to explore their world. Let them explore more. And to be dareful instead of “be careful”. Awesome tips Rod, especially the free range exploring time together each day (and the added benefits of less pram problems! ).